Thinking about buying a mattress, but wondering about all the specs? There are upwards of 100 brands selling memory foam mattresses online with different densities, and they’re all offering different features. The only thing they seem to have in common is the promise of the best night of sleep of your life. But they can’t all be right, can they? Today’s beds are better than ever, with advanced materials, quality control and a rapid pace of innovation. But what feels like the perfect mattress for one person could feel like a sinkhole to someone else. At the end of the day, our individual preferences are as different as the vast array of bed-in-a-box brands. What are Foam Density Ratings? What Does the Density Affect? 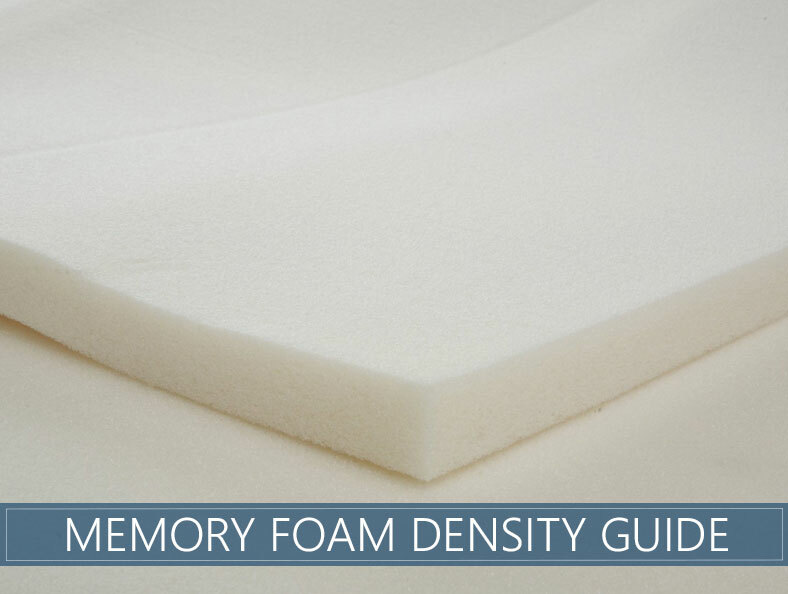 That’s why we created this guide for memory foam density. Of all the different features and specs to sort through as you’re comparing brands, the foam density is incredibly important and related to durability, quality, and individual comfort. We all learned about density during elementary school science class, but we probably never thought about how it applies to a bed. As a quick review, density is a measurement of how heavy it is compared to its size. A truckload of feathers, for example, will weigh less than a truck full of steel. That’s because feathers are less dense than steel. 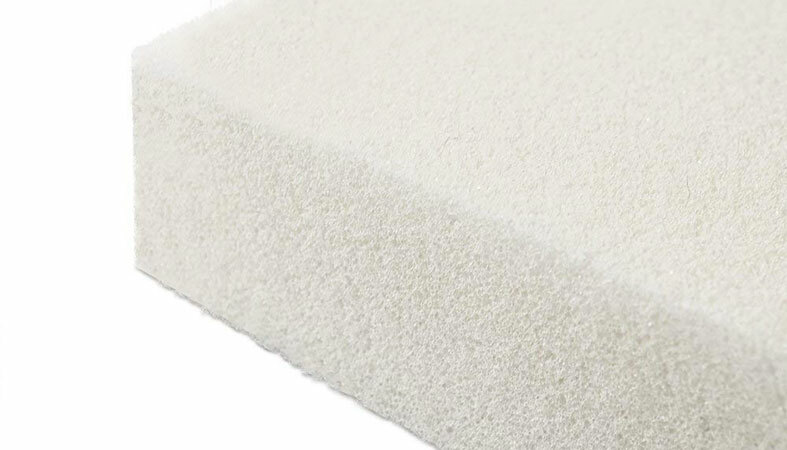 Most things have density measurements or ratings, including memory foam, which is sometimes referred to as viscoelastic foam. For memory foam, the manufacturer takes a piece of foam that’s one cubic foot. The measurements are 12 inches x 12 inches x 12 inches. Then they weigh it. At the low end of the spectrum, a cubic foot of memory foam will have a rating of 1.5, meaning it weighs 1.5 pounds per cubic square foot. The densest varieties have a rating of 8.0 or 8 pounds per cubic square foot. By looking at the density of the material when evaluating different brands (see top brands here) you’ll know a lot about how durable the bed is as well as how soft or firm it might feel. Armed with this knowledge, it will help you rule out or hone in on different levels that will adequately suit your needs. By looking at this one factor and knowing what’s best for you, you’ll be better equipped to choose a bed that you love. The lower the number, the less foam that’s used in production. This translates to a less expensive bed as well as a softer one. However, it also means you won’t be able to expect a long life from a product with a rating of 3 or fewer pounds per cubic square foot. These beds can still be ideal for guest bedrooms, since they won’t be used as often, making durability less of a factor, and the same goes for RV and camper mattresses. They could also work well for children who are light and won’t put substantial weight on the surface, which would normally cause it to sag over time. Measurements of 4 to 5 pounds per cubic foot are classified as medium-density. This range is what we call the Goldilocks of mattresses. Most people rate them as not too soft, not too hard, but instead, just right. 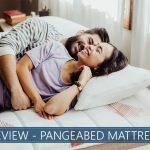 Unless you’re looking for an exceptionally firm sleeping surface or you’re a heavier individual weighing more than 250 pounds, you’ll probably be happy with a product that has a medium rating. See top-rated beds for heavier folks. 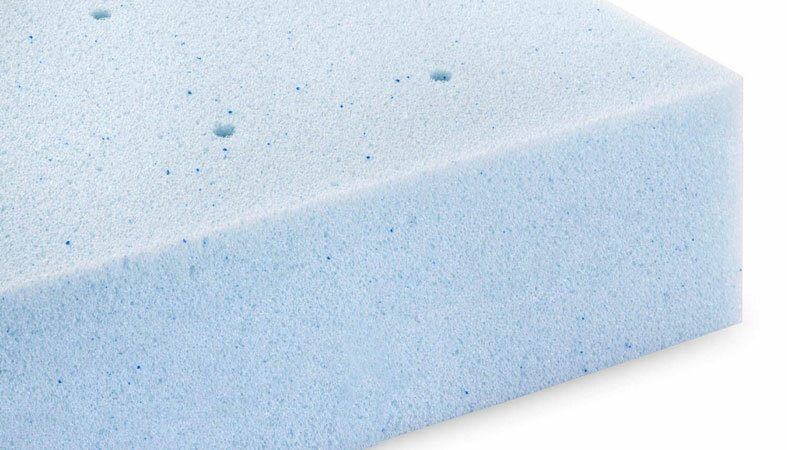 What is high density foam? When you see a rating of 6 cubic feet or higher, you’re in high-density range. These beds are the firmest and most expensive. Some are thousands of dollars! However, these mattresses could also last multiple decades, so they could be a smart buy for people who want to keep their bed for a long time. Their firmness level also makes them ideal for some people suffering from back pain or injuries because of the unprecedented level of support. If you choose a high-density foam bed, keep in mind that it might seem especially firm when you first sleep on in it. It can some time for the surface to contour to your body, so be patient for the first few nights. The most significant predictor of how long a mattress will last is its density rating. The logic is straightforward. Lower numbers have less material, meaning that they break down more quickly and will begin to sag sooner. Before dismissing a mattress with a low number as subpar, you may also want to look at the quality of the foam. Some are designed better than others, so even though this measurement does give you some indication of how durable bed is, it’s not the only factor. As density levels rise, so does the price. This is primarily due to the amount of material that’s used to make something that’s the same size. A high-density bed has more foam in it than a lower one, which elevates the cost. Often, you get what you pay for, so before adding a budget bed to your cart and celebrating your savings, consider that what you’re buying might not be as comfortable or last as long. Memory foam is famous for contouring to your body’s curves and giving you a virtual hug while you sleep. This level of comfort is what makes viscoelastic mattresses the most highly rated in terms of customer satisfaction. Again, the higher the density, the less contouring you can expect, although all memory foam beds, regardless of their number, will respond to your body heat and weight and provide some give. In years past, viscoelastic was criticized for sleeping hot because its contouring effects meant that air didn’t circulate around the body. Those days are long gone, thankfully. New technologies have emerged that allow the viscoelastic material to stay cool in the bed and circulate air. If you’ve seen the television commercials of the person pressing their hand into foam, then you’ve noticed that there’s usually a lasting handprint on the surface. The longer the imprint stays is a measure of response time. Brands with lower numbers respond faster because they have more air inside, which allows the material to bounce back. A high-density brand will keep the imprint of your weight longer, which also makes it a bit more of a challenge to roll over when it’s time to get up or switch positions. You already know that the denser the material, the heavier it is. Therefore, a high-density viscoelastic mattress will weigh more than one that has a lower number associated with. If you plan on moving to a new house soon or you have a lot of stairs to climb, you might want a lighter bed for that reason. Or, stick with what you prefer and inquire about white glove services where the mattress company will place your new bed in the room where you want it and assemble it for you. Sleep quality is a matter of personal preference. Some people prefer a soft sleeping surface with extra contouring. Others want a firmer surface that doesn’t cause them to feel like they’re sinking into their bed. Some other factors to consider are how much you weigh. A 120-pound person will perceive the firmness of a bed differently than someone who weighs 200 pounds. That’s because the lighter person won’t sink into the surface as deeply since they’re not exerting as much pressure. Therefore, heavier individuals may want to seek out higher density materials, whereas lightweight people may prefer a lower density rating. Does high-density foam mean it’s a firm mattress? Even though high-density ratings are often associated with firmer surfaces, that’s not the only variable that affects how a mattress feels. Another important number to look at is the indentation load deflection (ILD). This number indicates how much force is required to put a one-inch dent in the material. It’s tested with a giant machine that presses down a piece of foam and tracks the power exerted. The higher the ILD number, the firmer the bed. What thickness and density level is best for mattress toppers? The answer to this question depends on the reason you’re buying a mattress topper. If your bed is too firm, and you’re looking for a way to soften it, then a 2 to 3-inch thick topper with a low to medium density will provide the most amount of comfort. If your bed isn’t supportive enough or you’re trying to extend the life of your mattress, look for a topper that’s 3 to 4 inches thick and has a higher density. What density level is good for side sleepers? Side sleepers tend to need a softer mattress that contours well to the body’s curves. The reason is that when people sleep on their side, the weight of their shoulders and hips presses deeply into the surface. A typical recommended density is approximately 4.0, but there’s a wide range that many will find acceptable. The landscape of bed-in-a-box brands can be confusing, and the industry has introduced a lot of new terminology that most people aren’t familiar with. Hopefully, this guide on memory foam density will help you better understand each brand’s product descriptions so that you can choose your perfect bed that will provide with years of restful sleep. How Long Do Mattresses Last? The Results May Shock You!